Summer has been pretty non existent here in the North West of England. We have had some amazingly hot days, but these have been few and far between so I am really happy Autumn has arrived! Not only do the coffee shops start doing winter themed drinks (pumpkin latte anyone?) 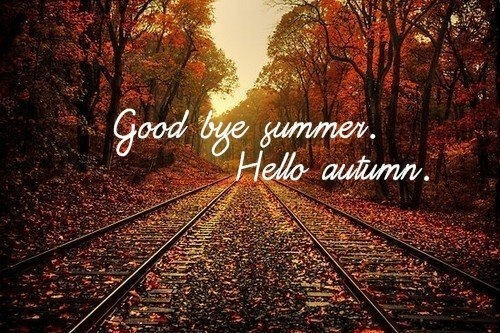 but we can finally stop shaving our legs everyday and wrap up warm in pretty scarves and chunky knitwear, oh and lets not forget the berry shade lipsticks! 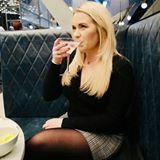 I am lusting after many thing for my Autumn wardrobe/makeup bag so I thought I would share with you my wish list. Revlon Just Bitten Kissable Balm Stain (£7.99) in shade Crush - I buy this every Autumn, it's a staining lip stick that lasts such a long time and looks very autumnal. NYX High Definition Blush in shade Bitten (£5.50) - This is very similar to my favourite blush NARS Dolce Vita but at a fraction of the cost so I want to put this to the test to see if it lasts as long. BOSS by Hugo Boss 50ml £63.00 - This smells incredible, next time your in Boots definitely give this a sniff! 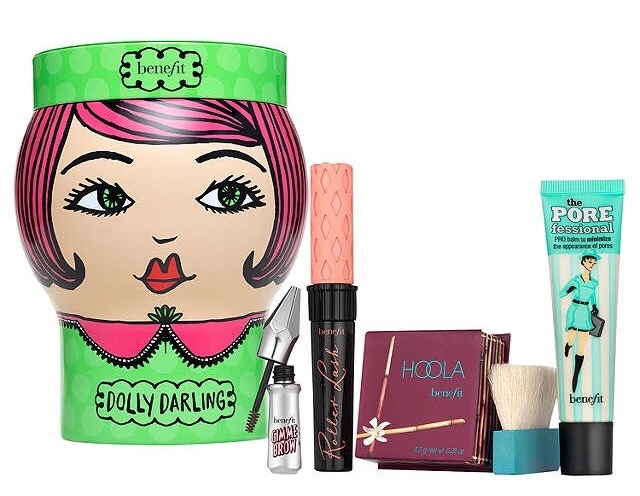 Benefit Dolly Darlin Dolled Up Gift Set (£44.50) - This is from the Benefit Christmas range. I really want Hoola and I love the Roller Lash Mascara, which between them, if bought individually, cost £43.00 so to get two additional products is a big bonus! Ribbed jumper HM (£12.99) - I love this dull mustard shade, it's very seasonal and would look great with jeans and some boots. Tan Strap Front Elasticated Panel Knee High Boots (£24.99) - I am definitely getting these! I love the fact they are elasticated rather than a zip as I have extremely muscly calves, so zipped boots can often be somewhat painful to get on! F&F Shower Resistant Padded Parka with Faux Fur Hood (£45.00) - I have been looking for a cosy winter coat for a while that doesn't cost a fortune. I love Tesco clothing as it's such good quality at great prices. I am a very lucky girl as my other half bought this for me yesterday (thank you Rob), so next on my list is a wool coat but I haven't found 'the one' just yet. Grey Suedette Platform Cheslea Boots (£27.99) - I am sure these are meant to be called Chelsea boots but maybe New Look wanted to be different? Anyway, I think these boots are really cute and I love a chunky heel. What do you love most about Autumn? 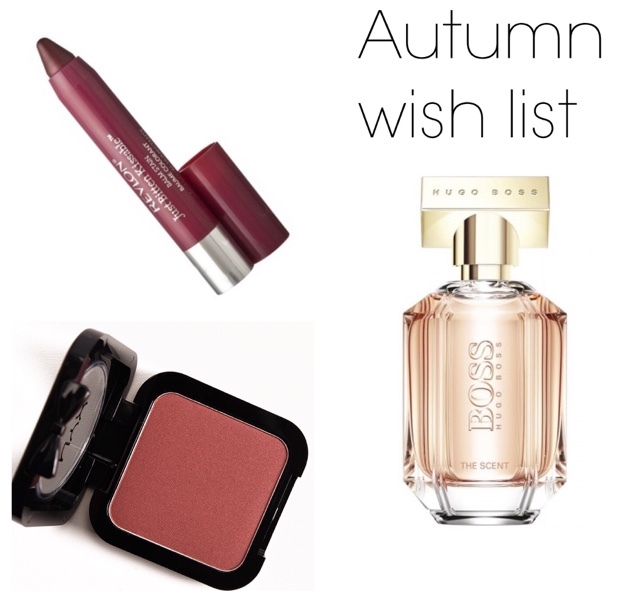 And what is on your Autumn wishlist? I love autumn too. The outfit you put together is really cute! 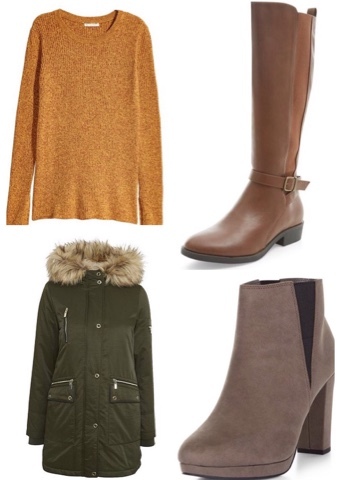 Ohh lov your autumn wishlist - all the choices are spot on and loving the jumper and parka jacket.